Magal Secure Tech specialises in residential and commercial home automation and cabling. We are licensed, professional and highly experienced in all aspects of cabling and technology. We offer exceptional workmanship, an take great pride in our capabilities and experience. Home Automation, cinema installations, and bespoke security and technologically innovative ideas for your home. Professional, well established, licensed and insured we offer a warranty on all our work and guarantee you will be happy with our pricing and quality. Combining state-of-the-art design with tailor-made solutions, every facet of an Advanced Lifestyle Solutions installation is carried out by one of our highly trained team members. Our in-house expertise covers a variety of facilities, whether architectural, electrical, building, installation or programming. We maintain expert knowledge on the latest automation and entertainment technologies, conducting thorough research into all alternatives before making a recommendation to you as the client. Our projects range from residential homes to large commercial ventures; but, regardless of scale, we ensure an outstanding result that is at once practical, cutting edge in design and suits your individual requirements down to the ground. 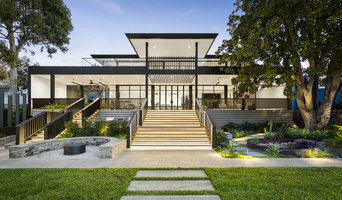 With well over 20 years experience in architectural building design, audio visual, project management and electrical contracting, nobody is better positioned to provide your Advanced Lifestyle Solution. Argus Technologies is an Australian owned and operated Company with extensive experience and knowledge in smart living in Residential and Commerical Markets. We consider your individual needs and preferences in designing smart home and automation solutions. Throughout the process of planning and building your home or commercial space, Argus' professional staff will provide their expertise in designing and implementing a solution, to achieve the space of your dreams. Plumbers Electricians are recognised for delivering the best Evaporative Cooling services. We have become Melbournes renowned company for rendering the top-notch services such as Evaporative Cooling Repair Service, Cooling Repair Service Melbourne, evaporative cooling cost and more. Our technicians have a year of expertise in repairing, installing and upholding Evaporative cooling Melbourne. We also repair damages and split systems refrigerated cooling systems and other HVAC systems. Our technicians use the most safest and eco-friendly tools in the procedure which never harm anybody nor pets or children. We are available for you weekends as well. Simply call us on the number 1300438688 or you can reach us online. Singhs Tyre & Auto has been providing car repairs and maintenance services with a strong focus on customer satisfaction. We have a passionate team of mechanics who work hard to serve our customers across Clayton South, Clarinda, Oakleigh, Mulgrave, Huntingdale and other surrounding suburbs. Fully insured and licensed, our Mechanic have the ability to work on vehicles of all makes and models. Whether your vehicle needs log book service, Aircon Repair or tyre repairs, we have got you covered. Our experts stay ahead of the automotive technology and deliver efficient services every time. We have invested in the latest equipment and have a wealth of expertise and experience to diagnose and repair even the most complex problems in no time. Our car service prices are extremely affordable, ensuring that you get the best value for your money. So, if you are behind a professional and friendly car service, call us on (03) 9543 1126 for a free quote. We are one of Australia's largest online retailers of Home Theatre and HiFi accessories. Our website and our showrooms in Hallam (Melbourne) and Geelong (Victoria) offer a great range of items for all your home audio and video needs, including: - Audio and Video cables - Wall mounting brackets for LCD, plasma and LED TVs - Projector ceiling mounting systems - Wall and ceiling mounting brackets for speakers - Entertainment Units, stands and HiFi equipment racks - Speakers and speaker cables - Connectors and adaptors Our reputation for excellent customer service has been built over years of providing great value and support to all of our customers. With hundreds of thousands of products shipped, we understand the things that matter to you, the buyer. Home Automation, Design and Consultation, Packages to suit every renovation or new Build. 15 Years experience in high end Home automation, winning homes and designs. Architectual designs, Inceiling and landscape speakers, iphone and ipad control. Security cameras and alarm systems, Video intercoms, IP Intercoms. Hook automation focusses on providing automation for buildings. In particular, we have two key product areas. The first is a monitoring and control system for Low Energy or Passive Houses (Passiv Haus). This allows you to monitor your house' performance and control energy and ventilation systems. Our second area of focus is to provide bespoke automation & robotic systems to solve problems found in everyday homes. Our appliance shelf help people regain control of those appliances that are currently hidden away in the bottom cupboard. Your Dream Home is a Smart Home Our Melbourne smart home specialists can turn your dream home plans into a stunning reality Elegant. Seamless. Total control at your fingertips. 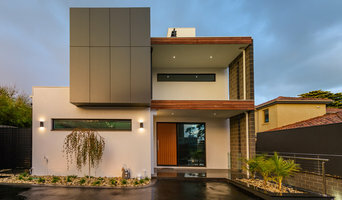 At ITA we craft award-winning smart homes in Melbourne. Let us tailor yours. All-In-One Home Automation in Melbourne There's no such thing as half a dream home. There's the home of your dreams. And there's just another house. Dreams don't come in halves. That's why, at ITA, we provide you with a complete home automation solution. One that matches your vision exactly. No compromises. No half measures. Shadewell is a leading installer of awnings, outdoor sun shades, blinds and shutters using modern materials. 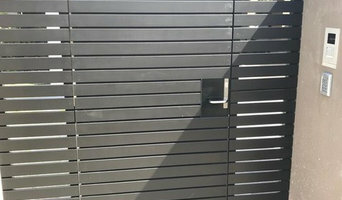 Our staff are well trained and professional Business Email: info@shadewell.com.au Phone no: 03 9898 9367 Fax: (03) 9898 8548 Trading Time:- Mon - Fri 9:00am - 5:00pm Sat - Sun: Closed To Connect with “Shadewell” click on these Social Link: Google plus: <a rel="nofollow" target="_blank" href="https://plus.google.com/112246607161649052154/about">https://plus.google.com/112246607161649052154/about</a> Facebook: <a rel="nofollow" target="_blank" href="https://www.facebook.com/pages/Shadewell-Awnings-Blinds/426512617411964">https://www.facebook.com/pages/Shadewell-Awnings-Blinds/426512617411964</a> . Your Richmond home cinema could soon transform into a media room that fulfils many functions. Some elements - like hidden cabling, concealed televisions and speakers - can be expensive, while home theatre designers have other little tricks that are much more affordable. Invest your money wisely and you could have a cosy entertainment room in your Richmond, Victoria home fit for a binge-sitting of Game of Thrones series as much as a perfect sporting finals experience. Find a home theatre designer or home automation specialist on Houzz. Narrow your search in the Professionals section of the website to Richmond, Victoria home media designers. You can also look through Richmond, Victoria photos by style to find a room you like, then contact the professional who designed it.